This fabric is designed by Africa Smiles and is exclusive to our ranges. 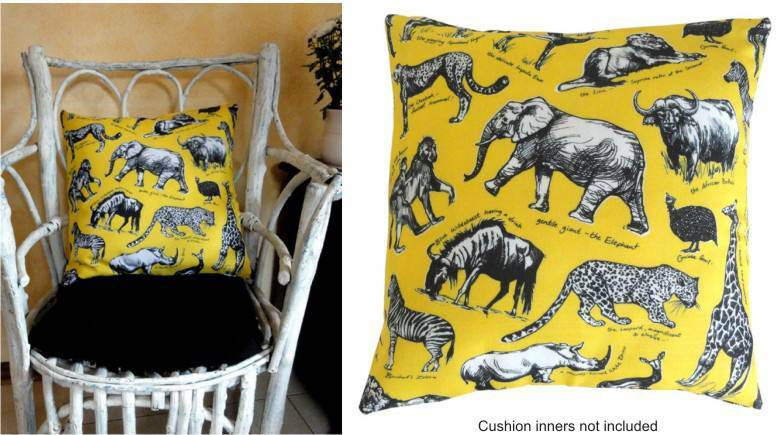 Our unique African themed designs are printed onto a textured polyester blend cloth and each cushion cover has an invisible zip. The design is the same on the front and back. As we design the artwork ourselves, the colours and fabric patterns are consistently expanding and evolving. Cushion inner is not included. Covers are machine washable.